It was that Friday feeling in Aberdeen today as Team Challenge Company once again re-ignited their partnership with gas and energy giants Centrica. The picturesque Ardoe House Hotel, on the south bank of the River Dee played marvellous host to the hotly anticipated family summer barbecue. Over 400 fun loving families and their children embarked upon 4 hours of target shooting, inflatable fun and a whole host of competitions to get the pulses racing. The forecast was iffy but morale was high as a break in the clouds ensured the sun was smiling on the early arrivals. Catering for kids and adults of all ages, we had a wide variety of activities to keep everyone entertained right up until last orders at 6pm! Today's barbecue was something extra special as we had a fundraising mission among the generous patrons in association with CLAN cancer support! 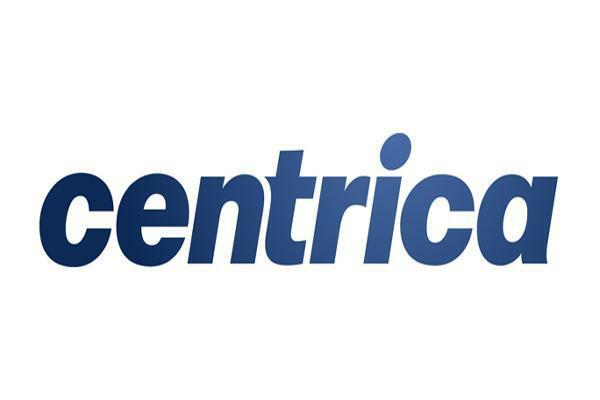 Steph and her wonderful team had already raised over £34 000 in conjunction with Centrica alone this year, and were keen to add to that tally today. On offer, they had therapy workshops set up inside the Elliot suite which boasted massages and reflexology with our in house experts. They would ensure everyone was relaxed and relieved of some summer holiday tension, at least for a few minutes before the kids caught up with them! There were also some stupendous prizes available at today's raffle which raised nearly £1000 pounds alone! An IPod shuffle, a Go Pro Camera and a nights Bed and Breakfast with Ardoe House Hotel were among the highly sought after prizes. Clancy the mascot also made a fleeting appearance, posing with kids for photos as he made his way round to a barrage of high 5's and hugs. There was certainly lots to keep the masses entertained as our resident Coco the Clown continued to coach young clown apprentices his circus skills. Passing the baton on to young budding enthusiasts as they juggled and plate spun their way to clowning greatness. Our Bouncy Castles and Assault Course were inundated with exuberant children for most of the day. Every bounce adding to the amazing atmosphere that only joyous children can seem to create! Our Popcorn and Candy Cart also provided a sugary respite for those with a sweet tooth. Dads were striving, in vain, to tempt their kids away from the sweets before lunch! The Ball Pool was setting its usual standard, harbouring hordes of children as it proved to provide a hideout / den for keen kids. Our first competition of the day provided us with our first big shock. 13 year old Jonny staving off challengers 3 times his age and popping balloons on his way to Archery glory! He successfully navigated through a number of rounds on his way to winning the title. A truly remarkable feat. Well done young man! The Children's Treasure Hunt moment of madness ensued shortly after as Nicholas and Emily won big for their sterling efforts. A fantastic day was beginning to draw to a close with lots of prizes won and competitions lost. The Laser Clay Pigeon Shooting proving a cruel mistress for those with guns in their hand. But our fun day season wouldn't be complete without our customary races and competitions. The kids grabbed their opportunity with both hands as Logan and Joshua won big on their respective age groups on the Sack Race and the Egg and Spoon Dash. The final act of what was a memorable day full of highlights was the insatiable ladies race! Bring on the Space Hoppers! After shedding a small piece of dignity our very lovely ladies boomed up and down the course, all chasing one dream! To win 3 Maoam sweets for their team! To rapturous family applause they gave it their all for their teams. The big winners were Martina’s team who blitzed the competition in a scintillating performance! A truly amazing and fun filled ending to a glorious day. Thank you to Jenni and Shelli for organising such a successful and seamless event. Such a lovely eventful day at the beautiful Ardoe House Hotel! Great to see everyone taking part and contributing to such an electric atmosphere. Looking forward to the next one!